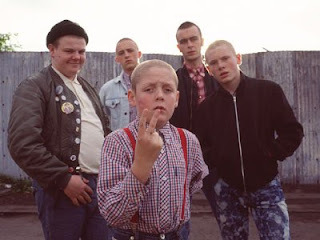 “This is England” is a tough film to watch, but wholly satisfying and engrossing. The lesson learned for today’s generation is not necessarily racial tolerance but a political lesson for Tony Blair. With many of the country’s soldiers in Iraq stubbornly fighting a similarly questionable war, the film warns the country of the dangers of a complacent government which, without proper social infrastructure, could turn these communities into an urban racial battlground again.